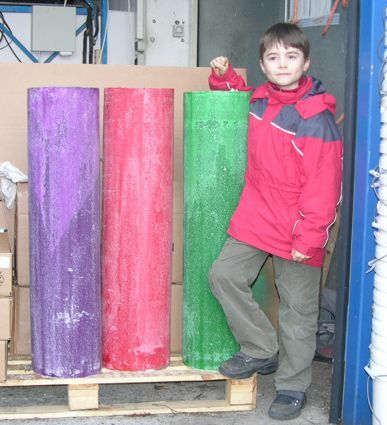 Due to a special pouring method invented by us, we can produce almost any any size candle. All of our giant candles are real, well-burning multiwick giant candles. The candles are handcrafted at our factory in Germany. 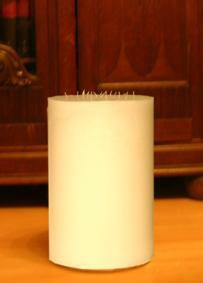 Our giant candle with a diameter of 24cm has 6 wicks and a burning life of about 1cm per 24 hours. 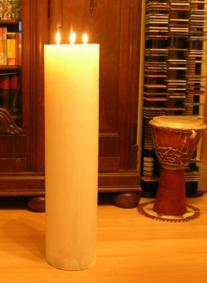 This makes a burning life of 2400 hours for a candle in our standard length of 100cm. 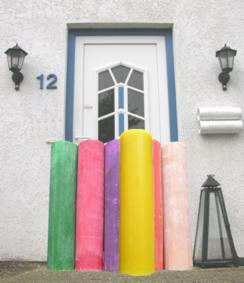 Giant candles - and every other candles as well - have to be placed at a draft-free zone and have to be checked for overflowing wax regularly. In addition, the wicks must be regularly maintained (shortened and aligned). Also individual heights are possible, if needed you can contact us at info@ihde-kerzen.de. We will gladly make you a special price when it comes to a well-known event and publicity for our onlineshop Kerzenkiste will be attained. © 2016 IHDE-Kerzen GmbH & Co. KG.